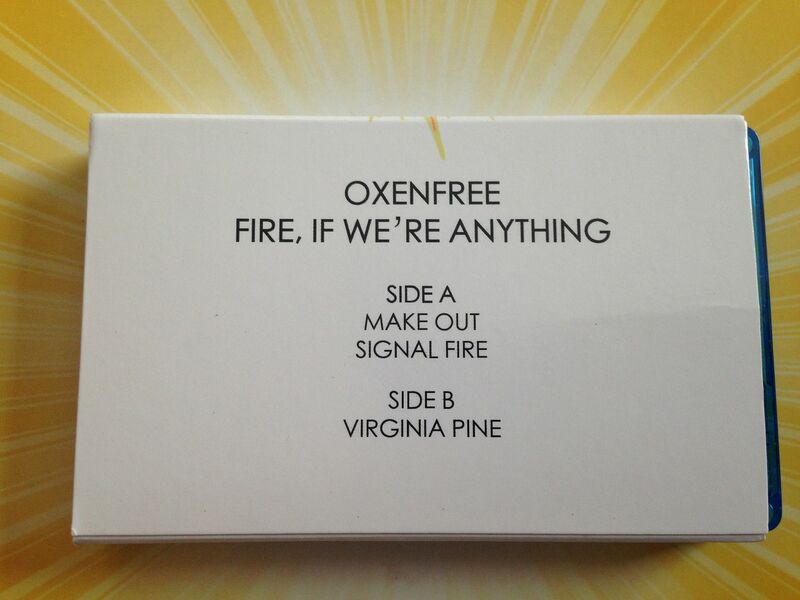 Raised by Gypsies ::: Cassette Review: OxenFree "Fire, If We're Anything"
Cassette Review: OxenFree "Fire, If We're Anything"
This came to me with the Sneaky Bear compilation. 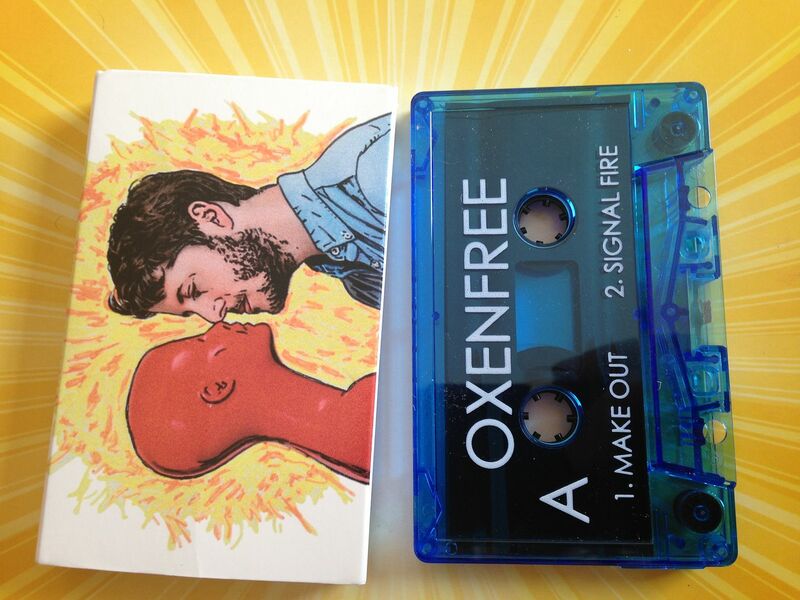 It has three songs on it- two on the first side and one on the flip side- but I do remember having cassingles with three or even four songs on them, so this is not really that out of the oridnary (Though the OxenFree Bandcamp calls it an EP) This was also released in 2014 but we're not going to let a little thing like time get in our way now are we? During the first song I can hear those distinct guitar notes which remind me of Blink 182 and then I can somehow combine the energetic rock n roll sound into a cross between Everclear, Mike Ness and Dropkick Murphys. 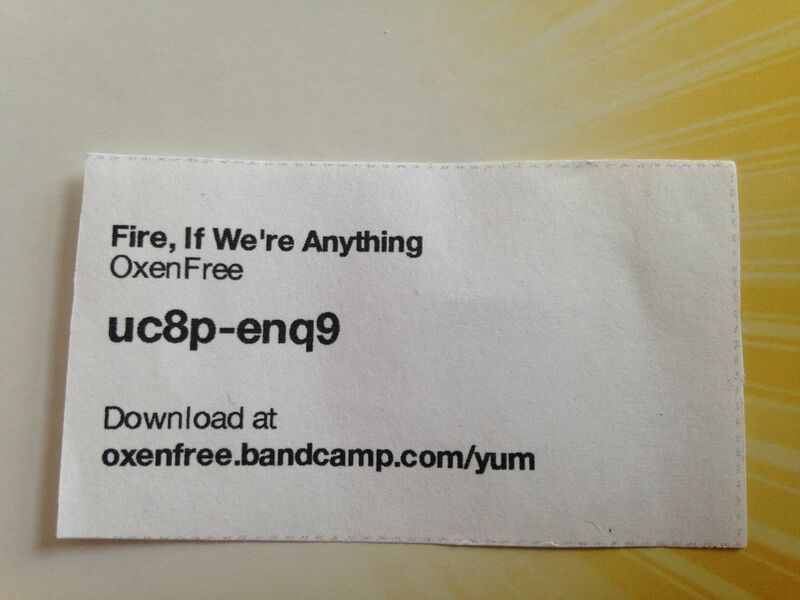 Though it is somewhat pop like Neon Trees and Kings of Leon it also has this fast paced psych sound to it just as well. By the second song I'm drawing an easy combination of Modest Mouse and Andrew WK with some horns and it's just wonderful. 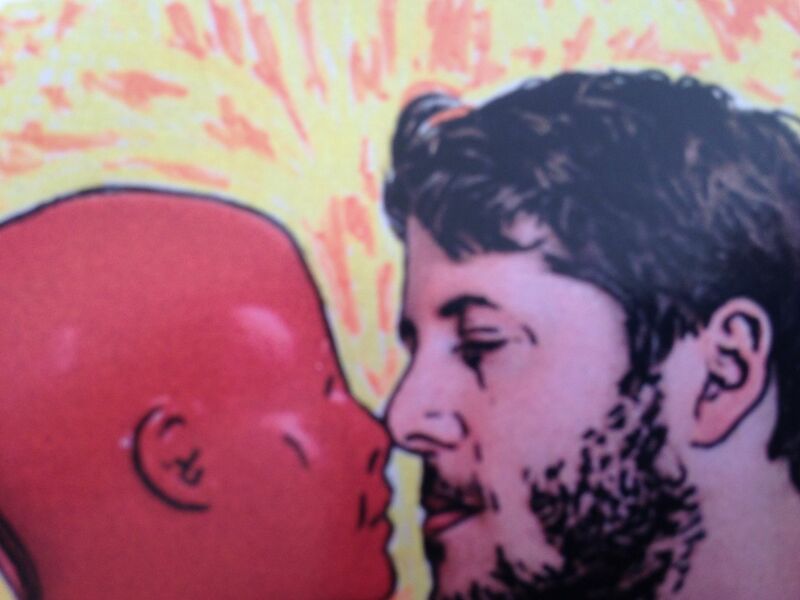 Imagine combining two such elements and the results would be just as fantastic as you could imagine. The last song is triumphant, uplifting rock that has female backing vocals in it as an anthem which eventually gets a lot of energy behind it. I remember having cassingles that were the main song on Side A and then a radio edit and perhaps remix on Side B. Though these three songs are different it feels like that strong lead single is on Side B but that might just be me. If you listen to this long enough the difference between Side A and Side B seemingly vanishes though and it just becomes three songs. 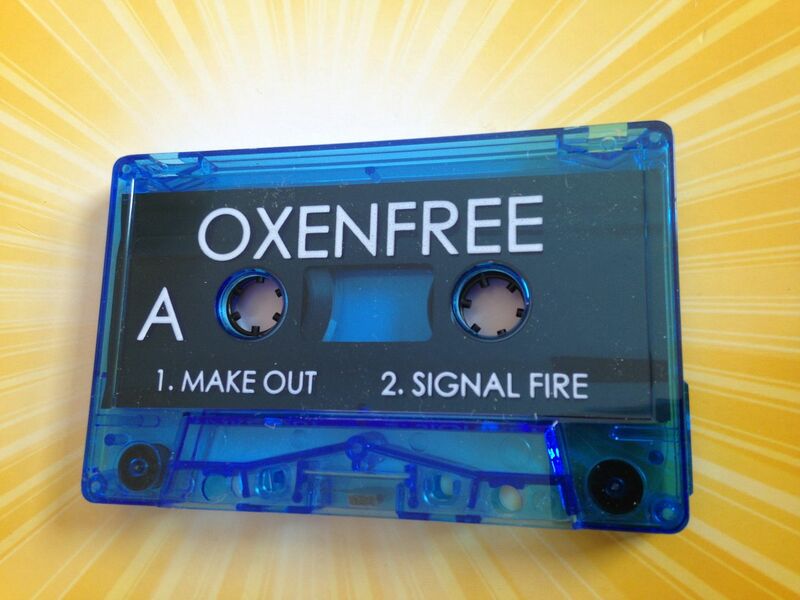 According to their Bandcamp page OxenFree haven't released any new music since this cassette (And before it there was only a single which is the second song on this cassette), but I still really enjoy it. 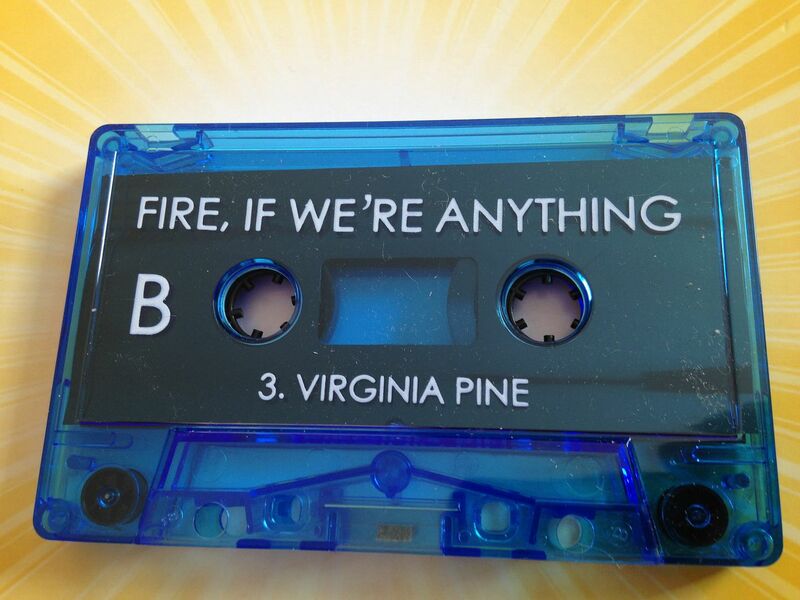 I also enjoy the title because it makes me think it means something along the same lines as "Fire When Ready" but it really doesn't because it seems more like the answer to a question such as "What are you made of?"